It goes on to speak of 'leading postmodernist, Peter Enns'! All of this sounds quite silly, and it reminds me how important it is to actually read the bible before being taken hook, line and sinker by such notions as 'secure propositions'. In fact, this strikes me as the symptom of an (albeit understandable) yearning for the eschaton, but framed like this ultimately leads to over-realised eschatological grasp of reality. I suggest a meditative think on the proposition found in Psalm 66:4! What struck me about the sentence is the nature of its claim on reality. Ask yourself: Does the whole earth worship God? 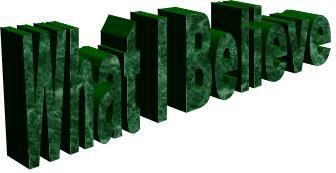 Does it all 'sing praises' to Yahweh? What about idolatry, sin, corruption, the destructive eruptions of chaos, etc.? Perhaps one should read 'all the earth' as 'all the (promised) land', though M.E. Tate speaks here, in his Word Biblical Commentary on Psalms 51-100, of praise 'by all who live on the earth' (p. 149). Either way, though especially if Tate is right in his assumption, what an astonishing claim! Are we to really believe that 'all in the earth', whether the whole world or even just the whole land, worships God, sings praises to God? My suggestion: this sentence of praise is best taken, in terms of its propositional claim on reality, as an eschatological statement. It points to a hoped for reality. But as I pondered this, it struck me that this is true of so much biblical material to a great or lesser extent. While there is nothing in the context of the Psalm itself to read such an eschatological accent into it, does not its truth claim push it into a future? Indeed, there may be nothing in the context of other biblical proposition, but many of them, especially positive statements about God, all claim a stake in a reality that is yet to come, one that is in the hidden future and coming of God. I think if we could grasp this more profoundly, perhaps we would be unleashed to develop our doctrinal thinking with more boldness, freshness and truthfulness, in a way that is more accustomed to walking on the water, less disturbed by the waves and wind of a world still yearning for its eschatological reality to materialise. And recognising this, maybe we would also judge our own theological statements (whether Calvinistic, Arminian, Reformed, Open Theistic or whatever) with more humility, as always penultimate to God's glorious advent. The Dean of St Mellitus brought a new book in for our growing library the other day. I, um, promptly bagged it and took it home. 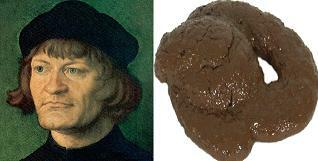 Suppose I shouldn't say that here, but hey ho - 'sin boldly' as Luther wrote to Melanchthon. The item in question is Denis Alexander's new book, Creation or Evolution: Do We Have To Choose? His book Rebuilding the Matrix is an absolute gem. A part of me is a bit bored with the whole creationism-evolution hubbub, but this book will no doubt be worth your investment. For many years as an evangelical I never heard about 'collects'. Can't get enough of them these days. Though recent escapades into traditional liturgical forms of worship have made me also appreciate more 'charismatic' or 'free' forms of worship, I would advise all in the evangelical tradition to pick up the Anglican prayer book. My personal favourite is Celebrating Common Prayer. Michael Barber once wrote a tremendously through provoking post on the salvation of 'all Israel'. Among other things he suggested that Paul saw the restoration of the lost northern tribes as directly associated with Paul's mission to Gentiles, suggesting a closer link between the lost tribes and the Gentiles. Today I had the pleasure of introducing Prof. Gordon Wenham for a guest lecture to our second year OT class. At the start of the year I specifically decided to decline giving lectures on two OT themes, namely 'holiness' and 'righteousness and justification'. For obvious reasons. So it was a real honour to have him speak to us on the matter of 'holiness'. Besides, Gordon is a world-class internationally renowned OT scholar, and I'm, well, still wondering if Adam had a bellybutton or not. 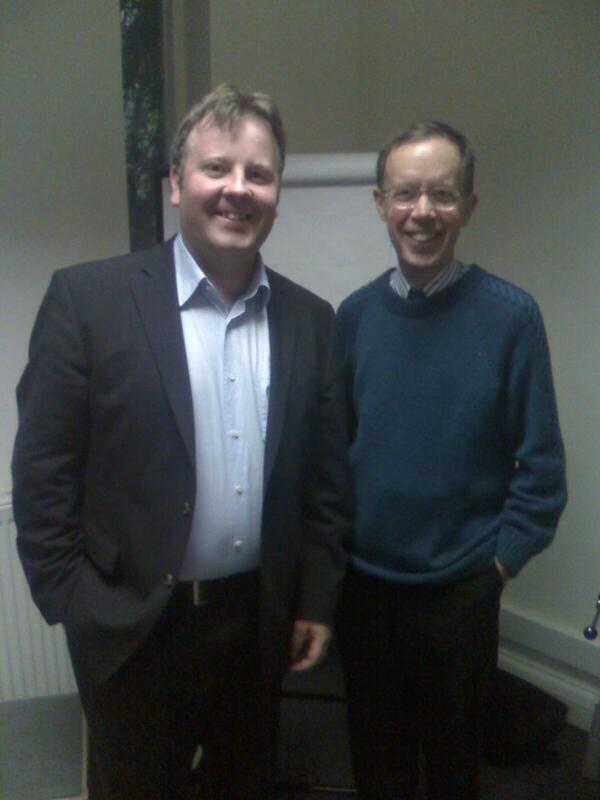 A true gentleman if ever there was one, here is a picture we took of Gordon and myself today. 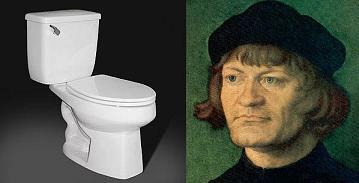 The two pictures of Zwingli below have been slightly altered, in 5 ways, to differ from one another. Can you spot all 5 changes? Displaced in person of Christ? : On the basis of Eph. 2:11-22; 3:6; Heb. 4:1-11; John 4:20-26, Chris Wright argues that 'Christ himself, therefore, incorporates and fulfils the significance of the land, as he did also for the law, the covenant, the temple, the king, the priest hood, the prophetic word, Wisdom etc... The effect of this, however, was far from being merely a spiritualizing evaporation of all the great social and economic themes associated with the land in the OT. The reality of Christian koininia in Christ included such practical aspects of inclusio, authority, lifestyle, and socioeconomic responsibility in ways that clearly reflect these same dimensions of Israel's life in the land' (New International Dictionary of Old Testament Theology and Exegesis, 1.524). Cf. also WD Davies. Brueggemann: 'it is here urged that the land theme is more central than Davies believes and that it has not been so fully spiritualized as he concludes. It is more likely that the land theme can be understood in a dialectical way: in contexts of gnosticism the land theme must be taken in a more physical, historical ways; in contexts of politicizing the land theme must be taken in a more symbolic way' (The Land, 170). Universalised? : Paul recognised that the Abrahamic covenant had universal implications (cf. its narrative context following Gen. 1-11), and so Paul, especially under the influence of his broadly christologically shaped hermeneutic universalised the land as God's intention for the world. So, for example, Romans 4:13: 'For the promise that he [Abraham] would inherit the world did not come to Abraham or to his descendants through the law but through the righteousness of faith'. Compare Eph. 6:2-3 and Deut. 5:16. What modern commentaries (and perhaps collection of essays) would you recommend on the Gospels of John? Any comments on Andreas J. Köstenberger's Baker exegetical commentary on John? Or Craig Keener's? Say incredulously 'What contradictions?' and hope they fall for your bluff. If they actually list any contradictions go to step 2. Mention their thoughts are wicked and that they must really hate all things righteous (roll your 'r'). If their face starts to harden, go to step 4. Suddenly and forcefully grab a hold of their head with both hands, and rebuke demons of stupidity (and add generational rebellion, lust, greed and paedophilia for good measure). Then take of your anointed 'mantle' (i.e. your jacket), and thwack them round the abdomen as hard as is righteous. Walk away from yet another ministry success. She read theology at the University of Cambridge, and now has approximately 13 books to her name. And there is a new book either to be or just freshly published, namely Christmas. The Original Story. Something about the things she has been involved with. 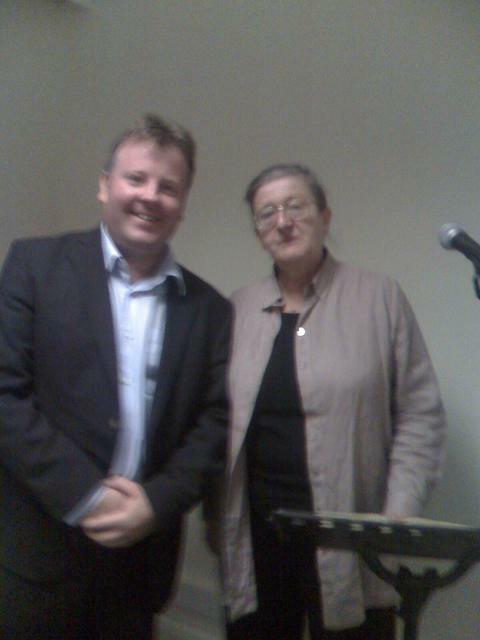 In 1998 she was greatly honoured and elected President of the Society for Old Testament Study. She is currently the Editor of the Society's Monograph Series. 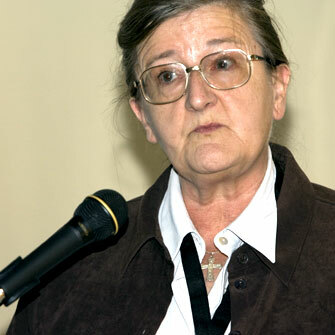 1997, she has been part of the symposium Religion, Science and the Environment, convened by the Orthodox Church's Archbishop of Constantinople, Bartholomew I, the Ecumenical Patriarch. Pretty impressive, really. While I personally disagree with quite a few of her proposals, there is no doubting that she is a uniquely creative author, spotting all kinds of interesting conceptual connections that all the rest have not even noticed. And the breadth of her grasp of the primary literature is simply stunning. I’ll try to remember to take some snaps! Perriman responds to a critical review of his uniquely stimulating and provocative book, The Coming of the Son of Man. Give it a read, here. 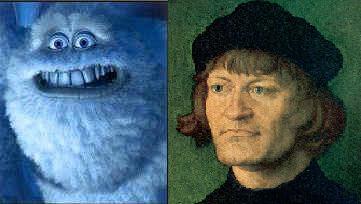 Zwingli and the blue hairy Yeti of Monsters Inc. The eyes and mouth do it. Ashton's book, by the way, is one of those special volumes that is simultaneously academically heavyweight at the same time as being a delight to read, difficult to put down. 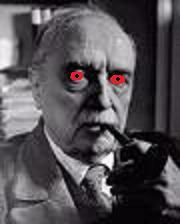 But less you think Ashton's criticisms imply disrespect for Bultmann (or mine in citing them), he still speaks of him as 'unmatched in learning, breadth, and understanding [... towering] like a colossus' (45).